Catherine Cooney, a partner in the prestigious law firm Worthingtons Solicitors, has kindly accepted an invitation to join the Youth Lyric Board of Trustees. Catherine is familiar with our work through attending productions and is looking forward to being part of the team. Youth Lyric offers a unique, infant class tailored to Foundation years developing creativity and confidence and early performance skills. 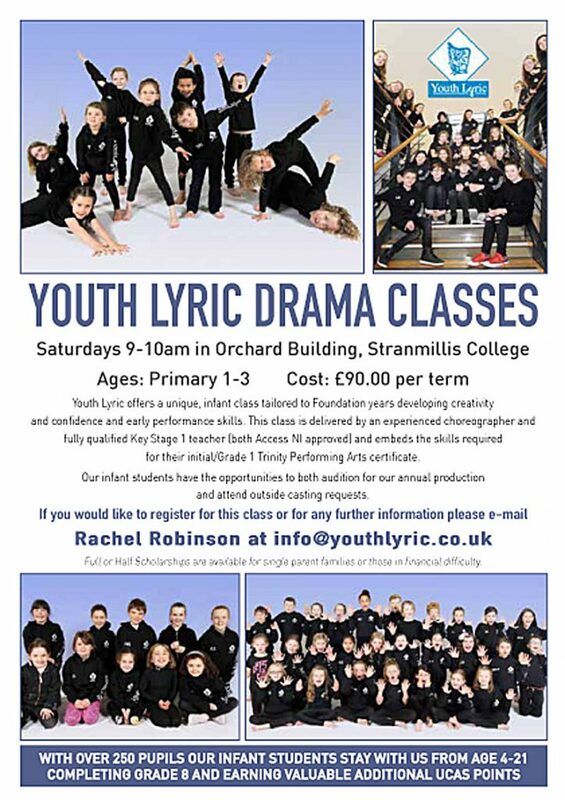 This class is delivered by an experienced choreographer and fully qualified Key Stage 1 teacher (both Access NI approved) and embeds the skills required for their initial/Grade 1 Trinity Performing Arts certificate. Our infant students have the opportunities to both audition for our annual production and attend outside casting requests. Full or Half Scholarships are available for single parent families or those in financial difficulty. 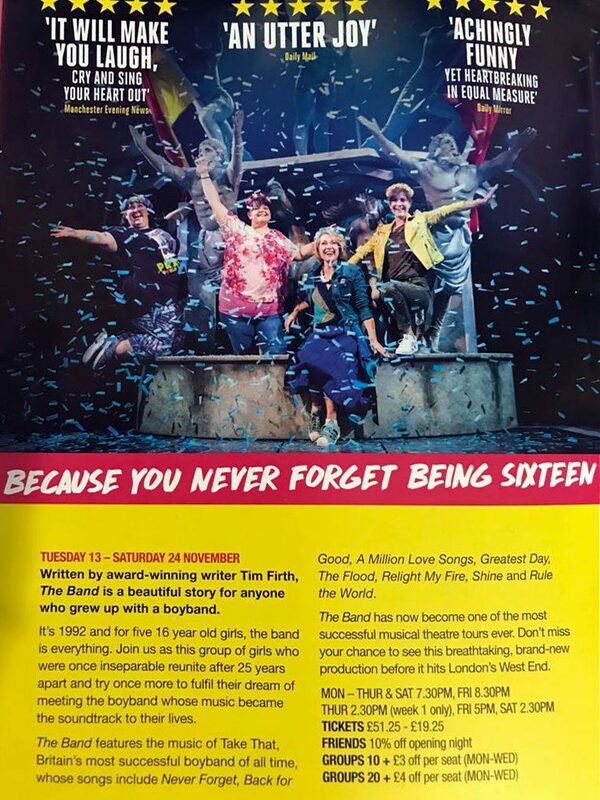 There are a few tickets left for our next theatre trip. We begin with dinner in Scalini and then walk to the Grand Opera House to see The Band, featuring the music of Take That! The evening costs £47 per person and is opening to all senior pupils. Please contact info@youthlyric.co.uk to book. 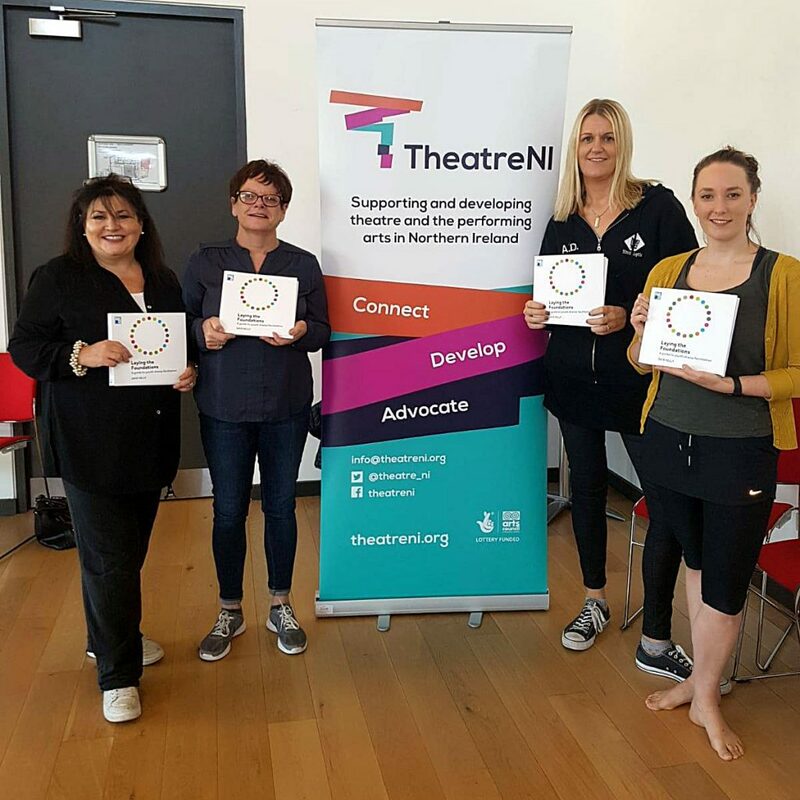 We were delighted that three members of our teaching team, Sheelagh O’Kane, Ali Donovan and Paula Carson-Lewis (pictured with Theatre NI’s Niamh Flanagan) were able to attend a recent weekend training course run by Theatre NI and Youth Theatre Ireland. The course was was led by leading theatre practitioner Dave Kelly and held in The Garage Theatre, Monaghan. Our colleagues participated in an intensive programme of workshops with teachers drawn from schools across Ireland and look forward to the next stage of the programme.